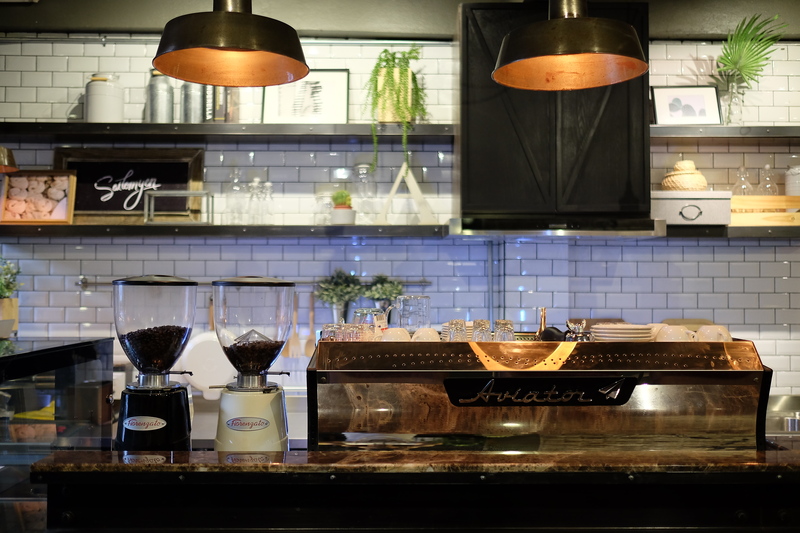 Strong brews and soft beds are a hit with locals and travelers alike. 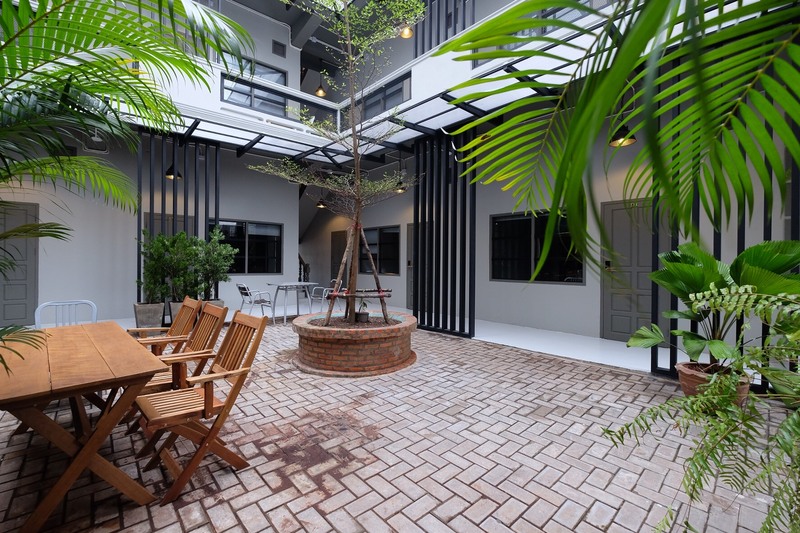 Stepping into Sailomyen Café and Hostel is to enter into a living, breathing Instagram account. Like many of its contemporaries emerging in Vientiane, Sailomyen is part of a quiet but intensifying design revolution, with its atmosphere as much to be soaked up as its coffee. Looking around, I can see every corner and every space has been uniquely and purposefully designed to complement the industrial loft feel. 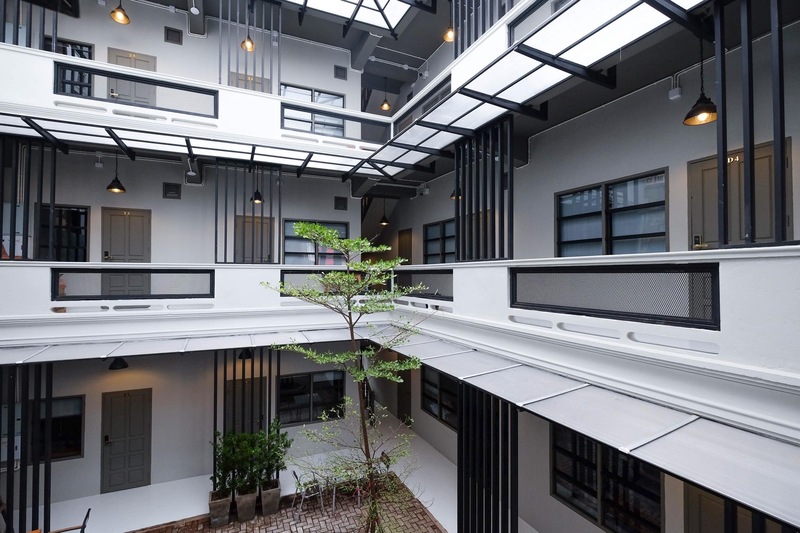 Utilitarian and raw, yet dotted with vintage items and lush green ferns, new life has been thoughtfully breathed into this pre-loved building. As I sit and wonder about the history, I am warmly greeted by Desa Latsavong, or Bee as he is known, the young man responsible for the venture. Bee has a broad, infectious smile, which never leaves his face as he dives right into the Sailomyen story. Bee grew up under the watchful eye of his mother, a hardworking Vietnamese migrant who arrived in Laos shortly after the revolution, and set to work building a future. Bee spent his childhood helping out in the family noodle shop and running the family guesthouse. But as is often the case, it takes the unique perspective of the next generation to breathe new life into the dreams of their forebears. And while taking a hospitality management course in Thailand, Bee began to think about the future of the family guesthouse, which was in decline. Not to be discouraged, Bee set out to turn the flailing family guesthouse business around. “We had the guesthouse already. We had the building already. And the café was my passion. So I thought this could go well together. I called mum and asked to take the sign down”. Taking inspiration from hostels he’d visited during travels around the world, Bee decided to knock down the walls, throw in a coffee machine downstairs, and convert the back rooms into a hostel. Unlike the café, which could rely on the grapevine of young Lao coffee drinkers, the hostel business meant traversing the world of guidebooks and booking websites. But Sailomyen gets consistently good reviews. And it’s little wonder, for even in the midst of our interview, Bee was busily giving directions and offering his friendly assistance to the hostel guests as they passed by. Sailomyen Café and Hostel offers fully air-conditioned dorm rooms with luggage lockers and USB ports at every bunk, as well as free Wi-Fi. The building has been cleverly designed to include little hangout spots, like the rooftop balcony and the terrace downstairs, where travelers can socialize or take in the city views. 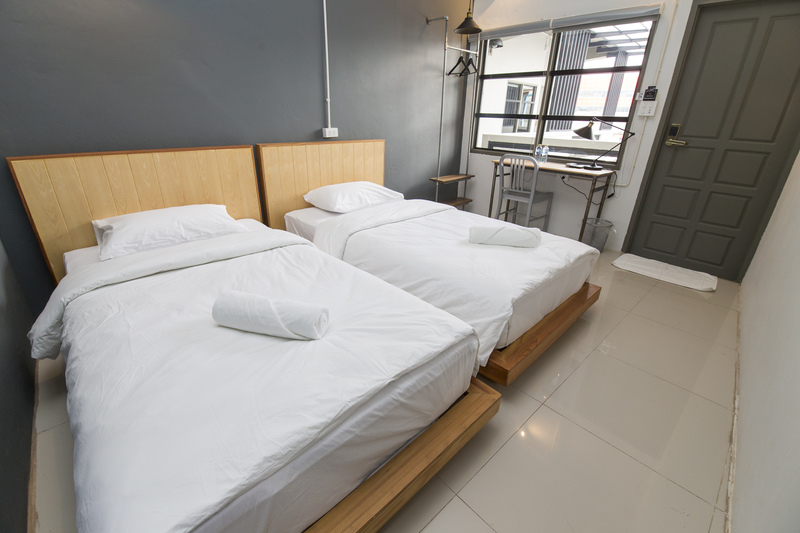 The newly renovated rear building features spacious, private rooms with comfortable, double beds, and is more like a hotel than any hostel! Room rates even include a free breakfast served in the café downstairs. easily accessible by bus or taxi. For more information visit https://sailomyenhostel.com.